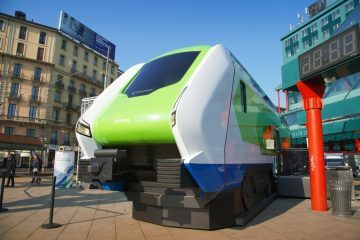 ‘The best way to predict the future is to invent it’, this slogan is featured on the newest Trans Montana locomotive, produced by Romanian manufacturer Softronic. 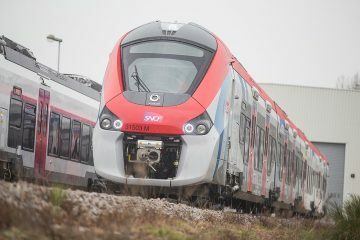 On 16.08.2016, a first image was published of the machine with no.24 in its full livery. 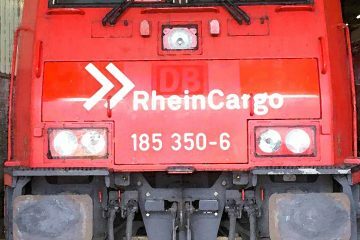 The vinyls on both sides of the six-axle machine also show a portrait of Mr. Henri Marie Coandă, an inventor from Romania. 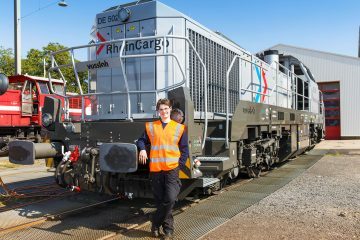 The machine in a full blue livery will be operated by railfreight operator LTE from Austria. It’s designation is 91 53 0480 024-5. 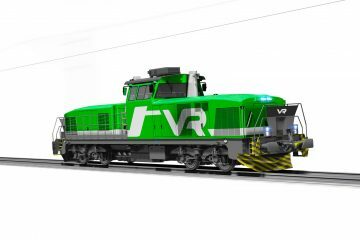 It has the newest front design, meeting the latest TSI norm on crashworthiness, which was introduced in 2014 with locomotive no.17. 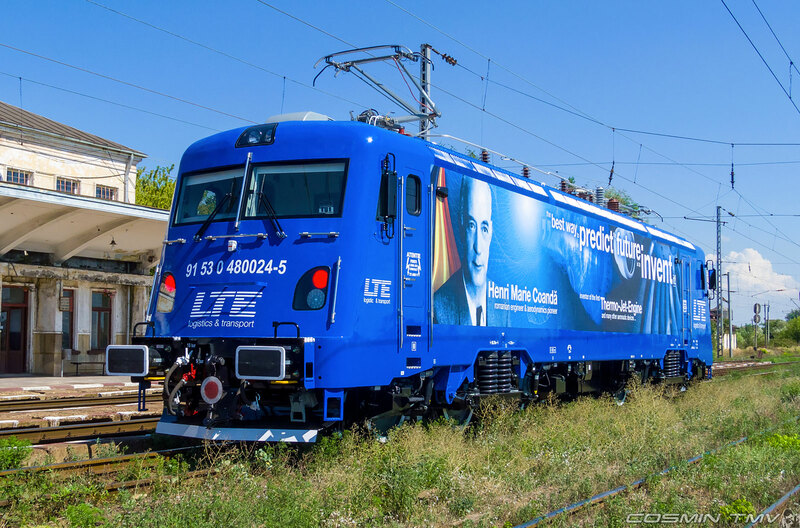 LTE placed its order for the Trans Montana locomotive earlier this year. 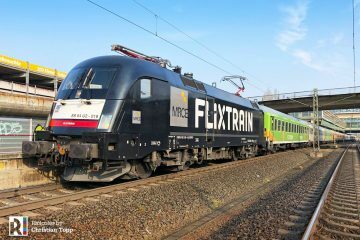 It will be used for freight services in Romania and Hungary. 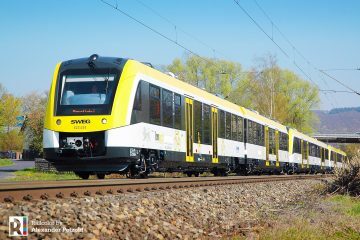 When the locomotive type will be homologated for Austria, the locomotive may be used in this country too.